My Tiny Green Servants Aren’t Even Doing Their One Job?Houseplants don’t meaningfully clean the air. Everything You Need to Not Kill Your Orchid, According to ExpertsForget everything you’ve heard about ice cubes. Like Many Plants in My Apartment, the First Plant to Grow on the Moon Has DiedI relate to the moon scientists. The Herbalist Who Believes in Ear MassagesTalking to Barbara Close, founder of Naturopathica. The Best Thing I Bought This Year Was a (Now 4-Foot) Fiddle-Leaf Fig From AmazonThe fiddle-leaf fig might be the avocado toast of house plants, but still, there’s no denying its charm. I Wish I Were My Snake PlantIt’s gritty, tolerant, and composed. This Not-Yet-Ubiquitous Rubber Plant Is 40 Percent Off TodayIt might just be the next fiddle-leaf fig. The Best Low-Light Plants for Office Cubicles, According to ExpertsWe spoke with horticulturalists and plant experts to find six low-light plants that can survive in the extreme environment of office cubicles. Just What We Need — a Pretty New Plant Trying to Blind UsPerfect. The Best-Looking Artificial Plants, Trees, and FlowersThey’re fake, yet they’re spectacular. The Best Pots and Planters on Amazon for Your New Amazon PlantMake your houseplants feel at home. A New Meditation Bus, Translucent Teapots, and a Fashionable Plant ShopWhat’s new in New York stores. How to Use Plants to Make Your Tiny Apartment Seem BiggerAnd more expert advice from landscape designer Lily Kwong. 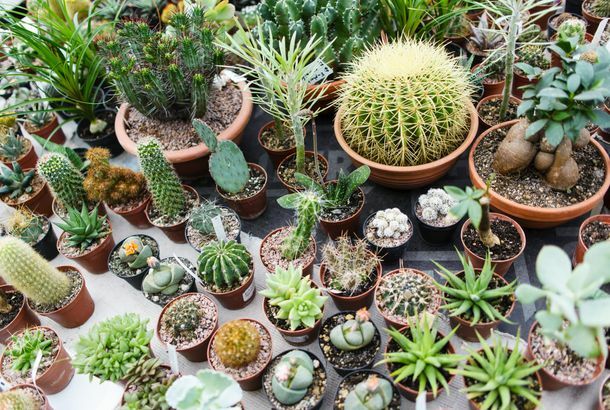 Everything to Keep Your (Surprisingly Finicky) Cactus AliveThe expert-recommended pot, soil, fertilizer, and moisture meter for your sensitive succulent. 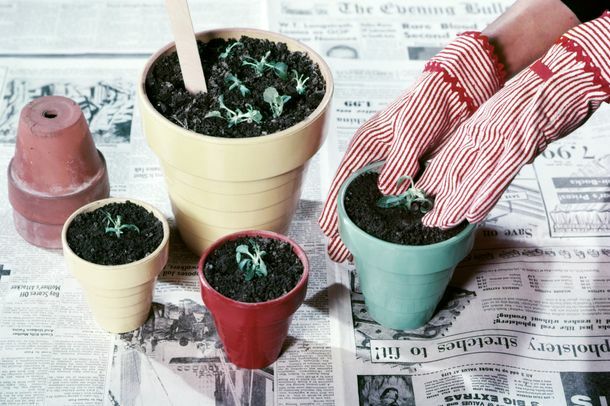 Why Can’t I Keep a Plant Alive?Confessions from a deranged horticultural journey. This Self-Watering Flowerpot Tips Over When It Needs a RefillHouseplants are now safe from negligence — and long vacations. Flower That Smells Like ‘Rotting Flesh’ to BloomIt was once the official flower of the borough. Microsoft May Have Found a Way to Let You Talk With Your Plants And they can even talk back (sort of). Kill Your SucculentsA dissenting opinion. Honeybees Had a Pretty Awful YearBeekeepers reported losing about 42 percent of their colonies in the past year. Deck the Halls: 49 Gifts for the Home to Give This SeasonBeyoncé’s stand mixer, no-pollen bouquets, a deconstructed pitcher, and more. A Conversation-Starting Houseplant That Adds a Bohemian TouchForget the fern and the ficus. How to Say ‘Thank You’ Like a Fashion PersonShower your hosts with flowers, massages, and weird plants. Shady Drugs Found in Shady Diet DrugsDiet supplements contain amphetamine-like substances, scientists say. A New Old Building, Anthropologie’s Happy Spring, and MoreNow in Nolita: total dream apartments! Union Square Bursts Into BloomFarmers are just now planting seed; if storage potatoes and onions don’t scratch your spring foraging itch, greenhouse greens and a profusion of flowering plants, budding fruit-tree branches, cut flowers, and potted herbs should do it. We’ll be keeping tabs on seasonal foods at the gourmet markets until local produce is going strong.